Having been successful against several other bidders, I was determined that my house purchase wouldn’t then flounder when mortgage lenders said they perceived it to be high-risk. The credit crunch, listed status, non-standard construction, outside toilets and my plan to put two cottages back into one house under a long lease all apparently counted against me. Fortunately, Trevor and his colleagues more than earned their commission and I eventually received an offer of a renovation mortgage from Birmingham Midshires through BuildStore (www.buildstore.co.uk). As well as providing financial services, BuildStore run the National Self Build & Renovation Centre in Swindon. I was invited along recently to give a talk on my project for visitors. You can attend courses there, view trade stands and demonstrations, and obtain advice and information from a range of specialists. I’d recommend a visit to anyone embarking on an old buildings project. 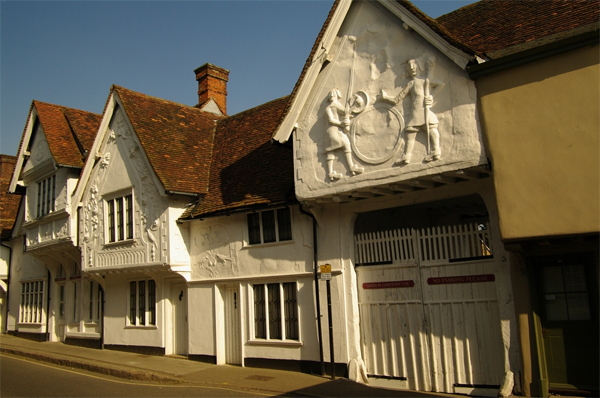 After so me years of advising others on how to handle work on old buildings through my role at the SPAB, I’m thrilled to be taking on a major project of my own – updating, altering and repairing a 15th-century, grade-I-listed house, later part of an inn, at Saffron Walden in Essex. The property is remarkable for the decorative render, or ‘pargeting’, that adorns its front walls, especially two large, folkish figures over the carriageway. There are also reputed links with Oliver Cromwell to investigate. I spotted an advert by chance in a local newspaper. The agent, Cheffins (www.cheffins.co.uk), received great interest so the sale went to ‘best and final offer’, with the suspense of seeing how my sealed bid fared against others. Apparently, a friend’s tip to include a one-sided resume justifying my interest in the building helped greatly. Now my cha llenge is to sympathetically return what are presently two cottages back into a single dwelling to provide myself with a home fit for the 21st century. To give you an idea of the scale of my task, there are only outside toilets and one cottage even lacks electricity. It’s a project that will keep me busy for the foreseeable future.